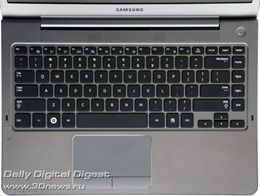 The test results are for a Core i3 version of the Series 5 (Samsung 530U3B, Samsung 530U4B) which we weren’t aware of until now. Processing performance isn’t in the same league as the Core i5 and Core i7 Ultrabooks but there’s important information about the screen, battery life and build quality in the report. The screen is average in terms of brightness, contrast and gamma which matches our own opinion. The efficiency appears to be good. For web browsing the tester measured 5-5.5hrs which aligns with our tests and most Ultrabooks that average about 8-10W in this scenario. In terms of build quality there are some questions raised about the plastics used although given the price, I don’t think you can expect much more. The plastic finish may also have advantages for Wi-Fi reception, suggests the report. There are no showstoppers being reported. At 1.4KG the Series 5 13.3” isn’t the lightest Ultrabook and for the weight, the HP Folio has a significantly bigger battery but in most areas the Series 5 is going to be a lot cheaper than the HP Folio. 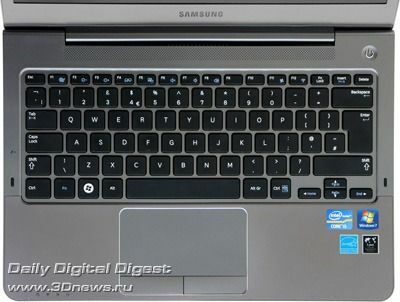 Acer will have to drop the price of the S3 if they want to remain competitive in the low-cost Ultrabook sector. If you’re looking for a lightweight 14”er with DVD drive at a good price, the Series 5 14” is about your only choice. One feature that might clinch the deal for some is the access port at the rear. 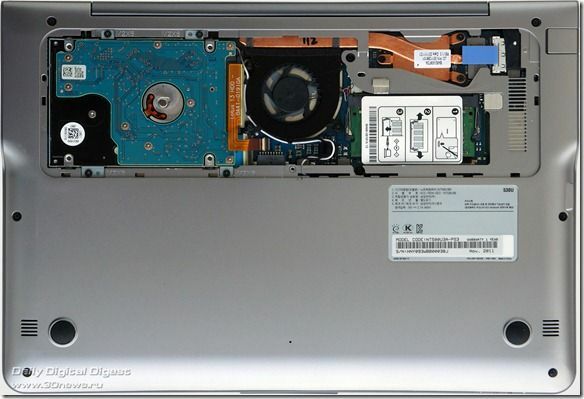 Memory and HDD upgrade (7mm height only) should be no problem. A translation of the review is available here. Thank you Chippy, for diligently getting us these nuggest of information, will you be able to talk to Samsung Germany as to when the new updated Samsung Series 9 will be in the shops here? Yes. UK availability is just days away. I will be chasing up Samsung Germany for their local information too. Thanks alot :)I am glad it comes to the UK soon, hopefully Germany does not have to wait too much longer! Latest on Germany that I have is ‘early Q2’ so it could be some time behind the UK. This information was from Jan so I’m trying to get an update now. Chippy, I would like to know your opinion about the fan position (just in the bottom, and centered). I think it could be a problem. Thanks. You mean a problem when using on lap, pillow, etc? Yes, Chippy. That’s what I mean. I’m going to have to check. There’s often fan input through the keyboard. I can’t remember what I wrote after testing at CES last month! Will have a chance for full testing soon as I’m on the list for a review sample. Yup. I saw that earlier today and have already drafted an article. Just waiting for some feedback from Samsung Germany so I can add something useful. Thanks for the tip. Keep them coming. I looks like a mistake. 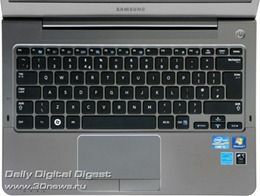 the model number is for an Intel based device and the CPU listed is a 45W TDP part. NP530U4B-A01US is a Core i5 model. 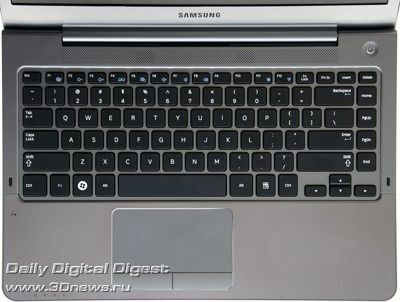 the current or the new samsung series 9 can work with? I mean can it tak 64 GB usb and sd ? How about the new 128 GB sd´s i have seen ? This way one could easily double ones 125 gb ssd storage :)I could keep my personal and entertainent files on the sd and carry it in the device and keep the ssd for the basics. « See You at the Intel Developer Session at MWC?